On the blog today I have Aya Tsintziras, author of Pretty Bones. I reviewed her book a week or so ago, and now she is back to share with us some books from her past! It's always interesting to see how authors are influenced by the books they read when they were young. Let's take a look back with Aya and see what her favorites were at some key ages. You can click the book covers to visit their Goodreads pages as well! The Tree That Grew to the Moon by Eugenie Fernandes. 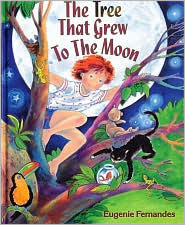 I didn’t read this book until I was a bit older than five years old but I would have loved it at that age, too. It’s about a young girl who grows a tree in her bedroom, and it’s so magical that I still remember it fondly after all these years. My favourite part is when winter comes, it snows inside her bedroom, and she builds an igloo around the tree. Something from Nothing by Phoebe Gilman. 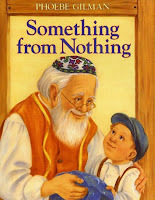 Again, a totally magical story about a little boy and his grandpa, and how his grandpa transforms his beloved blanket into different things over the years – a jacket, a button. This was a favourite in my family. 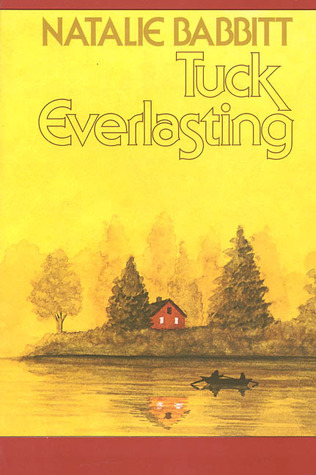 Tuck Everlasting by Natalie Babbit, a magical story about a family who drank from a magic stream and never gets older. It’s really beautifully written but sad. A Handful of Time by Kit Pearson. The Daring Game by Kit Pearson. White Oleander by Janet Fitch, one of my all-time favourite books. Dreamland by Sarah Dessen, one of my favourite authors. This is my favourite book of hers, about an abusive relationship. She has moments of humour, too, with vibrant next-door neighbor characters, and the book is poetic and smart. Gingerbread by Rachel Cohn. I would recommend the whole series: Gingerbread, Shrimp and Cupcake. The Lovely Bones by Alice Sebold. What an amazing book! I can’t even count the number of times I’ve read it. If I Stay by Gayle Forman. This is one of the best books I’ve ever read. I would also recommend its sequel, Where She Went, out last year. Thirteen Reasons Why by Jay Asher. Again, one of the best books I’ve ever read. Prom by Laurie Halse Anderson (well, anything by her!). This book is about so much more than just the super important dance that seniors love to go to, and the author does such an amazing job writing about the topic. She’s one of my favourite YA authors, so I’d also recommend her books Twisted and Speak. 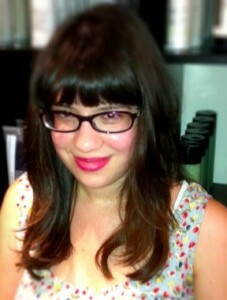 A huge thank you again to Aya Tsintziras for stopping by today! Be sure to check out the blurb for her book, Pretty Bones, below and add it to your reading list.